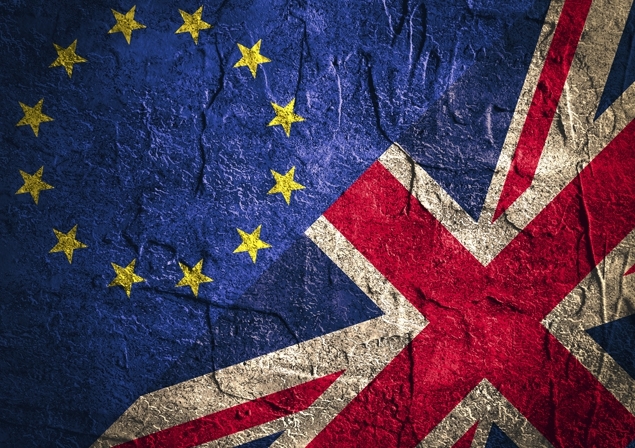 By the time British citizens went to the polls on June 23 to decide on their country’s continued membership in the European Union, there had been no shortage of advice in favor of remaining. Foreign leaders and moral authorities had voiced unambiguous concern about the consequences of an exit, and economists had overwhelmingly warned that leaving the EU would entail significant economic costs. It is tempting to dismiss this attitude as a triumph of passion over rationality. Yet the pattern seen in the UK is oddly familiar: in the United States, Republican voters disregarded the pundits and nominated Donald Trump as their party’s presidential candidate; in France, Marine Le Pen, the leader of the far-right National Front, elicits little sympathy among experts, but has strong popular support. Everywhere, a significant number of citizens have become hostile to the cognoscenti. Why this angry attitude toward the bearers of knowledge and expertise? The first explanation is that many voters attach little value to the opinions of those who failed to warn them about the risk of a financial crisis in 2008. Queen Elizabeth II spoke for many when, on a visit to the London School of Economics in the autumn of 2008, she asked why no one saw it coming. Furthermore, the suspicion that economists have been captured by the financial industry, expressed in the 2010 movie Inside Job, has not been dispelled. Ordinary people feel angry against what they regard as a betrayal of the intellectuals. Most economists, let alone specialists in other disciplines, regard such accusations as unfair, because only a few of them devoted themselves to scrutinizing financial developments; yet their credibility has been seriously dented. Because no one pled guilty for the suffering that followed the crisis, the guilt has become collective. The second explanation has to do with the policies advocated by the cognoscenti. Experts are accused of being biased, not necessarily because they are captured by special interests, but because, as a profession, they support the mobility of labor across borders, trade openness, and globalization more generally. There is some substance in this argument: although not all economists, and certainly not all social scientists, advocate international integration, they are undoubtedly more inclined toward highlighting its benefits than the average citizen is. This points to the third and most convincing explanation: while experts emphasize the overall benefits of openness, they tend to disregard or minimize its effects on particular professions or communities. They regard immigration – to which Cameron attributed the Leave campaign’s victory – as a net benefit for the economy; but they fail to pay attention to what it implies for workers who experience downward wage pressure or for communities struggling with a scarcity of affordable housing, crowded schools, and an overwhelmed health system. In other words, they are guilty of indifference. This criticism is largely correct. As Ravi Kanbur of Cornell University pointed out long ago, economists (and policymakers) tend to look at issues in the aggregate, to take a medium-term perspective, and to assume that markets work well enough to absorb a large part of adverse shocks. Their perspective clashes with that of people who care more about distributional issues, have different (often shorter) time horizons, and are wary of monopolistic behavior. If economists and other experts want to regain their fellow citizens’ trust, they should not be deaf to these concerns. They should first be humble and avoid lecturing. They should base their policy views on the available evidence, rather than on preconceptions. And they should change their minds if the data do not confirm their beliefs. This largely corresponds to what researchers actually do; but when speaking to the public, experts tend to oversimplify their own views. For economists, humility also implies listening to people from other disciplines. On immigration, they should hear what sociologists, political scientists, or psychologists have to say about what coexistence in multicultural communities may entail. Second, experts should be more granular in their approach. They typically should examine policies’ impact not only on aggregate GDP in the medium term, but also on how policies’ effects are distributed over time, across space, and among social categories. A policy decision can be positive in the aggregate but severely harmful to some groups – which is frequently the case with liberalization measures. Third, economists should move beyond the (generally correct) observation that such distributional effects can be addressed through taxation and transfers, and work out how exactly that should happen. Yes, if a policy decision leads to aggregate gains, losers can in principle be compensated. But this is easier said than done. In practice, it is often hard to identify the losers and to find the right instrument to support them. To argue that problems can be solved without examining how and under what conditions is sheer intellectual laziness. To tell people who have been hurt that they could have been spared the pain does not give them any less reason to complain; it just fuels resentment of technocratic experts. Because growing public distrust of the cognoscenti provides fertile ground to demagogues, it poses a threat to democracy. Academics and policymakers may be tempted to respond by dismissing what looks like a celebration of ignorance and retreating into ivory towers. But this would not make things any better. There is no need to surrender. What is needed is more honesty, more humility, more granular analyses, and more refined prescriptions. Point de vue - Pourquoi les citoyens rejettent-ils les experts ?